Ok that last post seems to have gone down well, I was going to add some more skaven but as I have had a request for the confrontation gangers I guess I'll post them up next. I think that the classic plastic Imperial guard/army arms were meant to fit these back in the day when they thought that making plastic arms would save them a few bob. 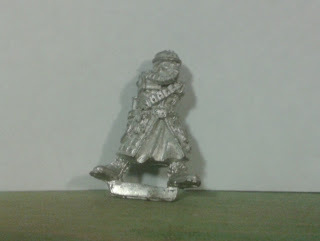 Horrible idea really having plastic & metal hybrid minis. Most people tend to just use super glue to fit the arms on so when you drop them the arms ping off in random directions and you spend time crawling on hands and knees looking for the errant part. Not to mention that the detailing on the arms is usually lower than the metal mini due to the (then) limitations of the medium. I tend to take my time and pin on parts whenever I can. its fiddly but in the long run I tend to have less ballistic parts when dropping minis so its a definite WIN in my book and worth the effort. 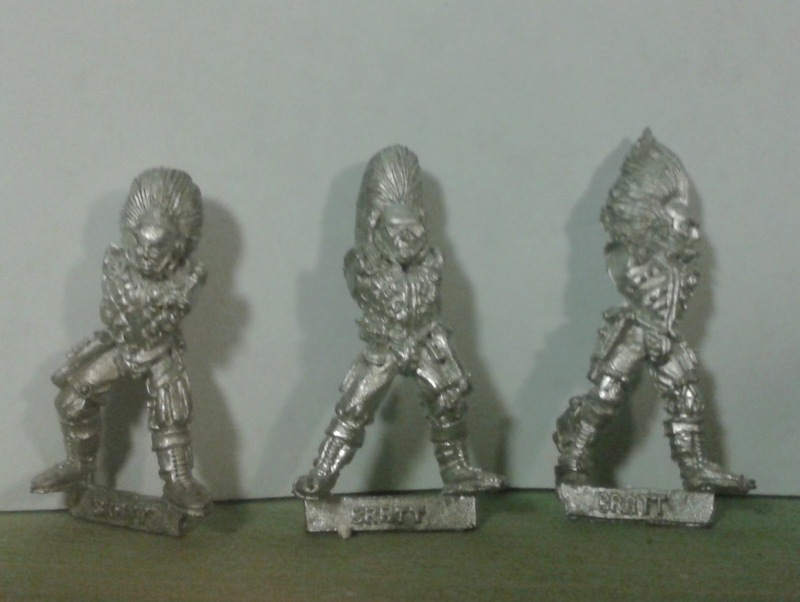 Lets start off gently, first up are some of the excellent grenadier original future warriors range sculpted by Mark Copplestone. I bought all these packs back when they were first released. going out from my job at workshop on my lunch break to the FLGS & comic shop to buy the latest releases. I thought they were fantastic (and I still do). They easily stand the test of time looking great next to miniatures that are released today even thought they are nearly 20 years old. I have plenty of these to paint and gladly there are still more to collect as Mr Copplestone has been adding to the range on and off for ages now, hit up google for "Copplestone castings" for more of his great work. 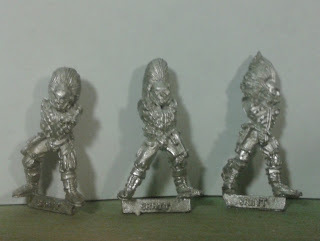 These were originally painted up for a Aliens project I was going to run for my mates as a special one off Christmas game, sadly I didn't get round to it but they have seen service in the occasional game of RT. Here's a group shot showing the Copplestone stuff alongside the classic RT era minis and in the centre is my commander for the force a confrontation tech gang leader. And here he is the the rest of his buddies, I have to say though, my poor photo skills when added together with unpainted minis and the fact that I am using my phone result in bad photos of unpainted stuff. Sorry guys, but you get the idea. For some reason there seem to be more tech gangers than any of the others, but then this is just the stuff I grabbed at the time that was available so perhaps there are more minis cast originally that I didn't see. it would be nice to see if I have a "whole set" so I might have to look into this more. Here we have some "dog skins" they often get lumped in with the rat skins from necromunder but if you look closer they are in fact wearing dog skins. Not too sure what these guys are supposed to be as their tabs are blank, lots of bones on their gear so perhaps some sort of death cult perhaps. Again not sure about these guys but I love the leader with the mastiff and "smurf" hat. Again more unknowns here, tabs say "hunters" so not sure if that was meant to be a gang or perhaps freelance hirelings of some sort, bounty hunters perhaps, who knows. Another unknown mini could be a tech or some sort of nomad living in the toxic wastes (hence the gas mask). Well that's it for now, not a lot to go on there really, perhaps if I get a bit more time I'll look into these on line and see if I can update the info depending on what I find. Of course any info provided would be gratefully received. Anyways, that's some imprressive collection here, definitely worth trying to make gangs and play some confrontation. Glad your enjoying the posts though. looking forward to seeing some paint on them too. Still waiting for more goodies mate. Please revive this blog!